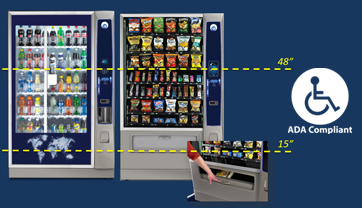 Global Vending can transform your snack and candy vending offerings! 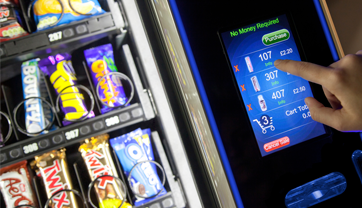 Snack vending machines are at the heart of the vending business. 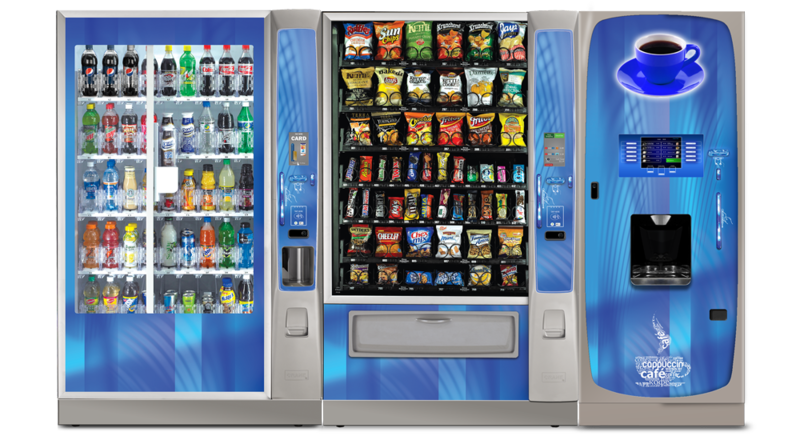 As experts at feeding the workers and visitors to Florida for more than 35 years, we have the know-how to transform your break room snack vending machine into a destination. 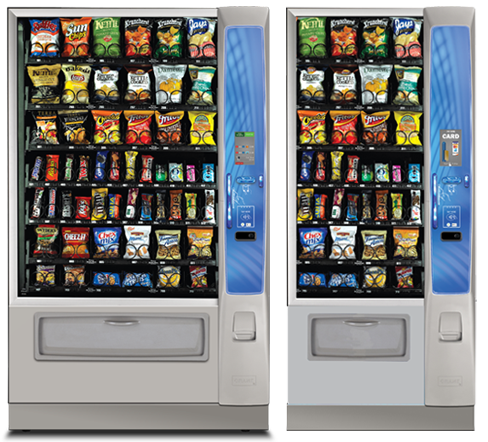 We put a lot of thought into our snack machine selections - aiming for the perfect balance between indulgent, traditional, and healthy items. 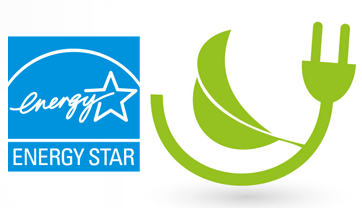 We have all the major brands from all the top companies as well as a selection of local popular products. We also encourage your staff to suggest items they might like in the machines. 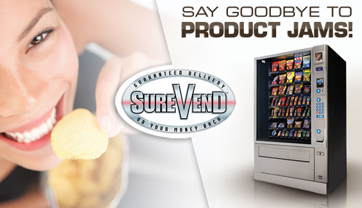 Plus, each of our snack vending machines is state-of-the-art with a guaranteed delivery sensor system, SureVend, which guarantees that consumers get their product or they get their money back. 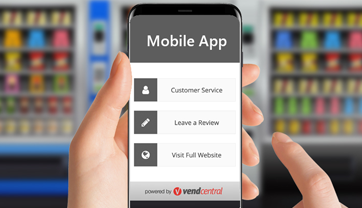 And technology with the ability to accept payment via magnetic stripe, Near Field Communication (NFC), coupon codes, QR codes, mobile wallet payment and more. 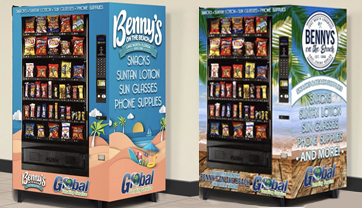 Global Vending's premier snack and candy vending machine line. 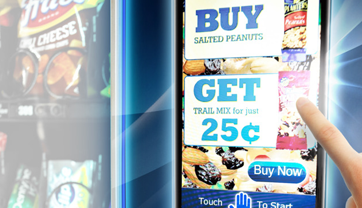 The Merchant Media FitPick machine has been beautifully designed with graphics that are highly recognizable and will resonate with consumers. 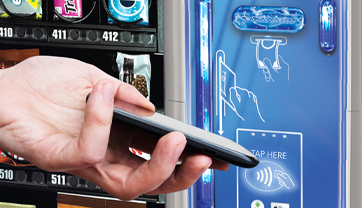 The consumer-friendly 7 inch touchscreen features FitPick branded graphics and a transaction experience that encourages "Better for You Snack Choices." Consumers can be engaged with product promotions, while operators and end locations can drive sales with custom advertisements. 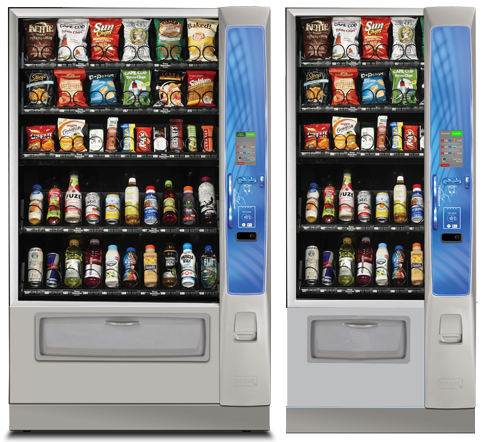 Additionally, the machine can be programmed to delight consumers with rewards for making a FitPick choice. 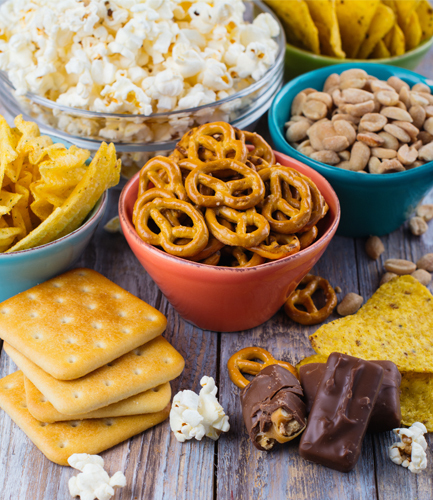 FitPick, NAMA's signature nutrition outreach initiative since 2005, is designed to provide consumers with the nutrition information they need to make informed snack choices. 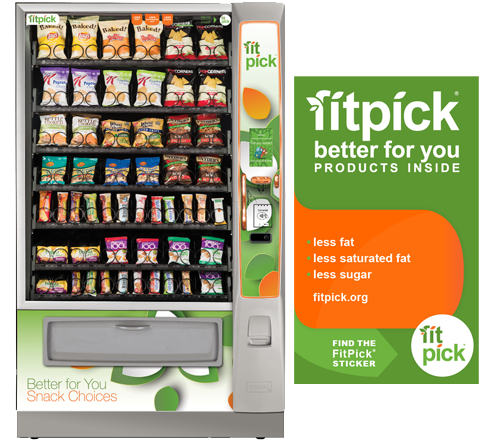 Since the program’s inception, millions of Americans from all walks of life have purchased their snacks from vending machines featuring FitPick products. 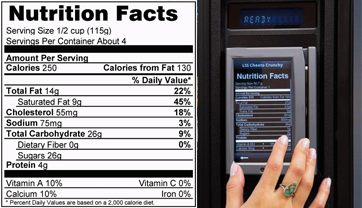 FitPick SELECT is a FitPick programming component that is specially designed to meet stringent nutrition guidelines. 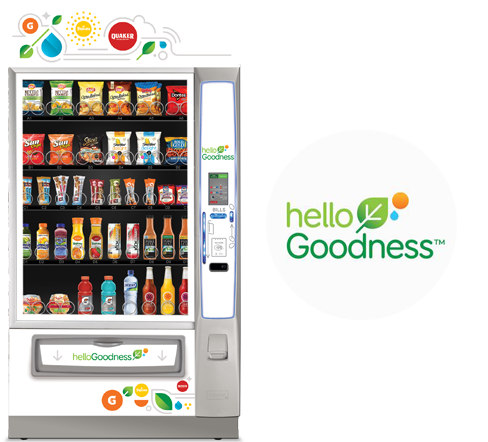 It is the ideal option for operators in schools and other locations who aim to provide snack choices that comply with the nutrition standards established by the USDA for snacks sold in schools.